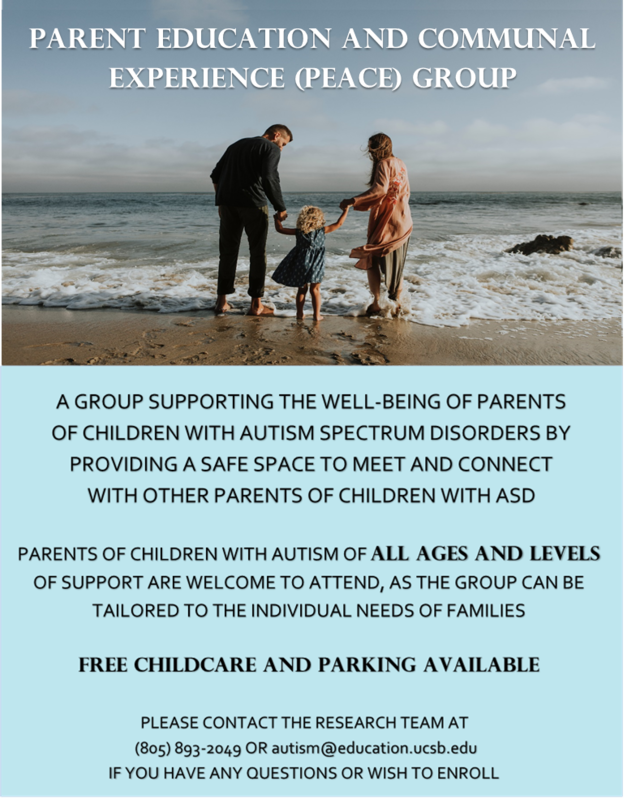 Parenting a child with ASD presents many unique challenges. Come meet other parents who share your experiences, learn tools and strategies to cope with stress, and learn how to navigate public support systems and resources. Childcare will be provided by trained undergraduate and graduate students. The group is offered at no charge to families. Parents who wish to enroll must be willing to commit to all scheduled meetings. Please complete our online registration form below if you are interested in enrolling, and our team will be in contact with you shortly.